Farrar, Straus and Giroux, 9780374191870, 160pp. Afghans revere poetry, particularly the high literary forms that derive from Persian or Arabic. But the poem above is a folk couplet—a landay, an ancient oral and anonymous form created by and for mostly illiterate people: the more than 20 million Pashtun women who span the border between Afghanistan and Pakistan. 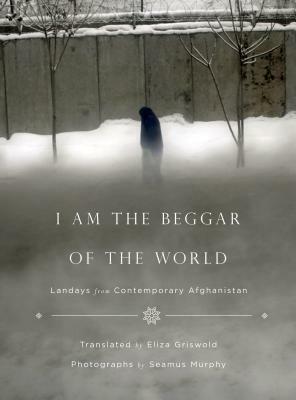 War, separation, homeland, love—these are the subjects of landays, which are brutal and spare, can be remixed like rap, and are powerful in that they make no attempts to be literary. From Facebook to drone strikes to the songs of the ancient caravans that first brought these poems to Afghanistan thousands of years ago, landays reflect contemporary Pashtun life and the impact of three decades of war. With the U.S. withdrawal in 2014 looming, these are the voices of protest most at risk of being lost when the Americans leave. Seamus Murphy has documented life and change around the world. He has won seven World Press Photo awards for work from Afghanistan, Sierra Leone, Gaza, Lebanon, Peru, Ireland and England. His depiction of Afghanistan and the Afghans over more than a decade was published as a book, A Darkness Visible: Afghanistan.